GIVEAWAY CLOSED. Congratulations to the Winner – Penny Ford. I’m very excited that in a couple of weeks’ time I’m going along to the Interiors UK show to have a good look round and discover lots of wonderful new designs and inspirations. It’s mostly for trade retailers and exhibitors and unfortunately isn’t open to the general public but I’m looking forward to discovering hot new trends through some very informative seminars. INTERIORS UK is Britain’s definitive interiors trade exhibition and takes place between 19-22 January at the NEC in Birmingham. The event is made up of five halls featuring the biggest brands and latest designs in Furniture, Lighting and Accessories from the UK and across the World. This year there are many brand new features, including the Designer Makers area which showcases 30 craftsmen who both design and manufacture their own furniture. Many create one-off or bespoke pieces, providing a great opportunity to find something personal and unique whilst at the show. How exciting does that sound? Some names exhibiting from the Designer Makers area include Jason Muteham, Nicholas Spens, John Barnard and Hot Lobster Furniture. 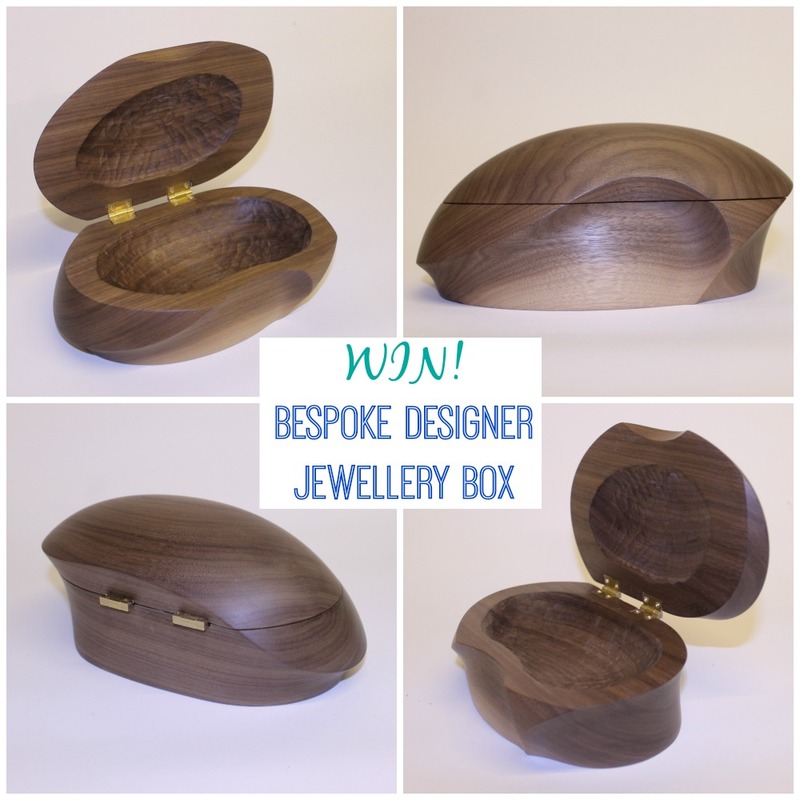 Robert Scott, one of the Interiors UK Designer Makers, has created a beautiful bespoke jewellery box just for one lucky reader here at Love Chic Living. Robert is a young designer maker who channels his creative passion into making sculpted wooden furniture of the highest quality. Please leave a separate comment for each entry that you do for the purposes of the Random Number Generator. Competition details form part of these terms and conditions The prize entitles one winner to a jewellery box hand made by Robert Scott. The Giveaway may be modified or withdrawn at any time. tweeted and following both pages 🙂 Fab prize!! All done and dusted. Following both on Twitter and Tweeted about the give a way. Have tweeted and done extra enries. I tweeted! I did! I did! Tweeted, @PPuddleduck. What a beautiful box. Following to you. And this is very Awesome GiveAway. http://www.pinterest.com/melaniejanes/ I follow on pinterest. Beautiful! This would go perfect in my new bedroom! Wow! This is an amazing wooden jewellery box to lookout for this year. A perfect gift for the ones you love the most. It has some great work of wood and the finishing is perfect. Tweeted and will pin when I can connect. Great idea for a present. Well not if you need to fill it. Dolly mixtures is the answer. Tweeted the competition tag line! I have tweeted and followed. followed Twitter as TRACY MOORE66, Pinterest Tracy Moore. A wonderful prize and so very unique. Followed @interiorslive on Twitter, also retweeted this gorgeous prize!